When you have obligations, the thought of not being able to meet them can be frightening — especially when they are financial obligations. Many people worry about what would happen if they were unable to make their credit card payments. This concern is what leads many to agree to credit card insurance plans. A credit card payment protection plan is one that purports to make your minimum payment for you, if you become unable to do it yourself. Most credit card insurance plans are offered through credit card issuers. So, you would sign up for a plan with each of your credit cards. Then, according to the literature issuers send, if you lose your job or become injured and can’t make payments, your minimum payments will be covered. Most of these plans cost a portion of your balance. Some plans charge a portion of your new balance each month, but many others charge you based on your entire balance. If your plan charges 79 cents for every $100 you have as your balance, you can see how it would start adding up. If you had a balance of $2,500 on your credit card, you would pay $19.75 each month for payment protection. The more the credit card issuer charges for payment protection, and the higher your balance, the greater your bill. For the most part, payment protection charges are added to your balance — where you pay interest on the expense. If your payment protection plan cost puts you over your credit limit, it can trigger an additional fee. When you sign up for payment protection, you need to be prepared for these costs. 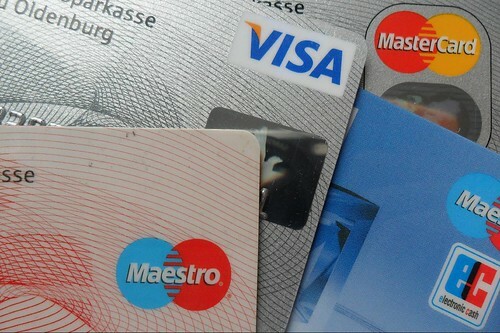 Is Credit Card Payment Protection Worth It? Before you sign up for credit card payment protection, you should consider the pros and cons related to credit card payment protection plans. Make sure that the plan will help you with your financial goals. The most important thing to do is check the terms and conditions related to the payment protection plan. Many plans have very stringent requirements, and even if you are fired from your job or become disabled, your payment plan may not be in effect. Instead of paying money each month on a payment plan, you could set that money aside in a high yield savings account, or use it to boost your current emergency fund. Then, instead of paying interest on it, you would be earning it. You could use it to make emergency payments if needed, rather than paying to a credit card issuer who may not pay out on a technicality. Of course, if you don’t carry a balance, then credit card payment protection doesn’t cost anything. However, if you don’t carry a balance, you don’t need protection, anyway. Plus, some card issuers are quite picky, not applying the card protection payments to balances acquired after you start receiving benefits from the plan. Another consideration is that credit card debt is unsecured debt. This means that credit card companies cannot force you to sell your home to pay off your debt. They can sue you for what you owe, but if there is nothing for them to take, you cannot be forced to part with some of your other assets. In the end, most people are probably better off saving up money in an emergency fund and paying off credit card debt as quickly as possible. That way, the issue of credit card protection becomes moot. This is a helpful reminder to read the fine print. What sounds good doesn’t always turn out so good. Saving an emergency fund – a much better option. It seems like every day I open my mailbox there is one of these offers waiting for me. Nothing like “insurance” that will only double my APR should I carry a balance! What a racket. That’s really useful article! thanks a lot! I would like to add that there are other credit card insurances you can actually need. Like for example Travel Insurance or Rental Car insurance which are included in CC benefits and options. The main rule is to pay for the activities (a car) with this card and it works. It was rather unexpected for me to discover all this stuff but now I can definitely save on my travel insurance while being abroad (in case I’m not trying something special for sure like diving in the night with sharks). Sounds funny but I found all this info on a strange site named InsurEye. But in general I saw not many people who actually mentioned all these options to me. And of course the bankers are not in this list… So there are things you have to dig to get them. Credit card insurance is very expensive for what you get. Credit card insurance benefits the credit card company and not you. – The credit card company is the beneficiary – the insurance you are paying for does not pay you. It pays the CC company. – It only pays the minimum payment – this does not reduce your credit card bill at all. And as mentioned in the article, you could be paying interest on top of the insurance you are getting. – The price is very high compared to getting your own insurance from a broker. In the article, your example person is paying $19 per month. An average 35 male could get $50,000 term insurance for that price – more than enough to cover the CC bills and pay other bills should something happen to him. Of course, this would not cover him if he lost his job.